The staff at Church of the Holy Family is always eager to help with your questions and concerns. Father Magill has served in the ordained ministry for the past 30 years and holds a Bachelor of Theology and Master of Divinity. Father Pete is a certified Hospice Minister and holds a Diploma of Clinical Psychology. He has ministered as Religious Educator of three Parochial Schools and served as Chaplin of Norfolk General Trauma Unit in Virginia. As a visionary, Father Magill founded and directed a Community Soup Kitchen. 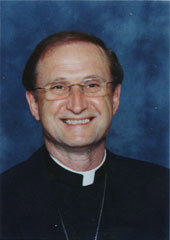 In 1982 Father Magill was called to parish ministry in Florida and in 1997 became Rector of Church of the Holy Family. Father Pete came to our parish with special gifts and skills in parish visioning, spiritual growth, church development, preaching and teaching. Fr. 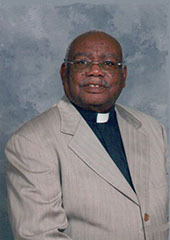 Arthur Johnson came to Holy Family with his lovely wife Valrie in 2007 after retiring from the Diocese of Long Island. Fr. Arthur is in charge of Pastoral Care, visiting the sick in hospitals and nursing homes. Fr. Arthur assists at the Altar every Sunday and heads up the Prayer and Healing ministry. Fr. Arthur also teaches a weekly Bible Study. Over the years Fr. Arthur has endeared himself to the people of Holy Family by his loving and caring service and devotion. 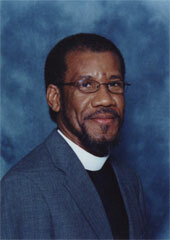 Father Gabriel joined the Staff in 2004 as the Diocesan Missioner to the Haitian Community in Pine Hills. Haitian by birth, Father Gabriel speaks three languages; Creole, French and English. Along with his responsibilities to the Haitian Community, Father Gabriel assists at our Worship Services and serves our parish in pastoral care ministry. 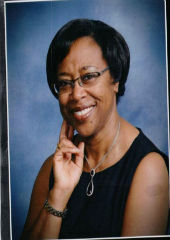 Tessa Smith moved from New York and became an active member of The Church of The Holy Family in 2010. Since joining the Church of The Holy Family, Tessa has been involved in many ministries which include; The Mentoring Program; Wednesday Morning Worship and Praise Service; Vestry member; Finance Committee Member; E.C.W member; and serves at the Altar as a Lay Reader. Most recently Tessa has volunteered as the Parish Office Assistant and now has been appointed by the Rector as the Parish Administrator. The Church of The Holy Family is blessed to have such a dedicated and multi-talented person, who gives so freely and lovingly of her time and talent to the Lord.